This season on Survivor, the new castaways will have to learn from past contestants' mistakes to outwit, outplay and outlast the competition to win the top prize of one million dollars. 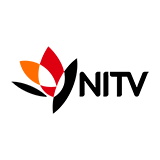 Australian Survivor was broadcast on Channel 9 at Saturday 14 April 2018, 01:21. Australian Survivor is an Australian reality game show that originated from the original American and internationally hugely popular show Survivor. The premise for the Australian version is very much comparable to the one of other international versions of the show. A group of people is left to survive on their own ?in a deserted location, such as Whaler's Way on the Southern Australian Eyre Peninsula, or Upolu on Samoa. The participants in the Survivor need to complete challenges in order to get rewards to help them survive on their own, and to win immunity from elimination from the show. 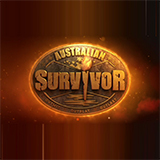 The participants vote amongst each other until the ""Sole Australian Survivor"" is left to take home the A$500'000 cash prize.